Psh, just tell them to :dealwithit: or move it to another room. 50% of my games. Pilot AFK’s at the beginning of the match, and then disconnects completely. I’m sure I will and I look forward to it. As far as pubs are concerned maybe I should become proficient with piloting to avoid some of this hassle. Then you’ll have the dumbass back seat drivers more willing to yell at your skillz than actually repair shields, guns, engines oh god we’re going down! Played with an actual F7 crew tonight. Was like I was playing a brand new game. 10/10, would yell at @f0rkz to turn left again. You never ever turn left. Always right turns! Don’t cross the streams…It would be bad. Hey, if you missed out on the Steam Sale, Indie Gala is selling Guns of Icarus today for 3.71! I grabbed it for Shen, since we had a miscommunication and he didn’t think we were ever going to play it and missed out on the steam sale. Whoops. So once I get my rig back up and running, (and by “I”, I mean @SOCRATEZ with @f0rkz for the assist) I’d like to load this up again. It was a lot of fun right before my computer epically crashed. I did what I could. @SOCRATEZ did the hard work. PS: Hope its fixed soon. This will get you going for now. I wouldn’t quite trust a $27.99 power supply, but at least it will get you goin! $27.99 PSUs can definitely be fine as long as they are name brand usually. 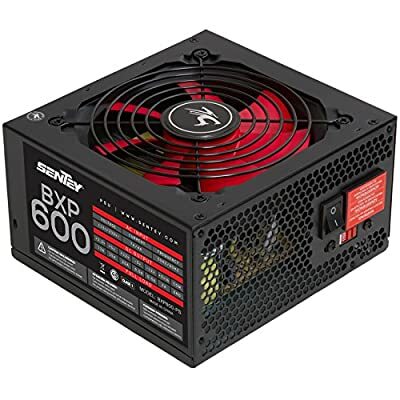 For example, used the Cooler Master RS-460-PSAR-J3 (through several versions) in well over 200 builds with a very small failure rate over multiple years. Thing is pretty rock-solid and is usually $30-40. Antec “Basiq” PSUs are usually pretty solid and are around the same price as well. Thanks for the suggestion. So far we have looked at one by Corsair for roughly $40 and another name brand (that I have apparently blocked out of existence?) for a little bit more. I’ll definitely add these to the list of what we are considering. @F0rkz, what happened last night? You were having mic troubles and then disappeared. I wasn’t able to get my GoI fix damn it. That robot voice was massive packet loss due to a huge network attack at the datacenter. Needless to say, I had to coordinate solutions with zero access to troubleshooting services. Got it fixed, but it took longer than expected. When all was said and done you guys were offline. We went with the Sentey for $28. Figured at that price as long as it got things running for a year or so it would be worth it.